The first thing you need to do is install DesktopServer Premium. While you can probably accomplish the same thing with the limited version, it doesn’t have the import functionality. 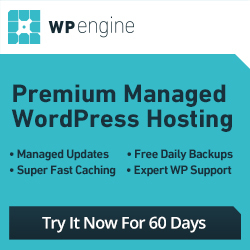 This tutorial will use the premium version to show you how to easily use a WP Engine backup point file and the import function in DesktopServer Premium to create your local WordPress environment. This should be pretty self-explanatory, but you need to go into your WP Engine dashboard and create a backup point. When you receive the notification, download the file, which you will use to create your local site. If you are going to use a staging environment, create the staging environment in the WP Engine section of the WP Admin dashboard. In DesktopServer, use the “Export, import or share a website” option. After the site is created on DesktopServer, but before trying to access the site, go to the wp-content directory and remove the mu-plugins directory (WP Engine specific plugins) and object-cache.php. Once you have removed the files, you can access the site in your browser. 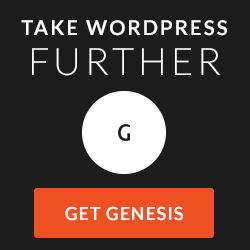 Now that your development site is set up, you need to connect it to your WP Engine site using Git. First, make sure that your SSH key has been setup for the site with WP Engine for the GIT repository. Next, follow all of the instructions from WP Engine for setting up git, starting with “Making the first commit”, including your first commit and push to both staging and production environments. That’s it. Okay, maybe it’s a little more complicated than it sounds, but you should have everything you need to get it done.